Mobile number portability in India launched on 20th Jan 2011. How to change your mobile operator? 2. You will get a SMS reply that contains a unique porting code. 3. SMS to the preferred operator quoting the unique code. This code is valid only for a few days, and one must apply again if it expires. 4. Your existing operator will check with new operator & if there are no dues then approval will be given for porting. 5. You will get a SMS on the time & date when porting will take place. Rules mandate that process be completed within 4 days of applying. 6. After porting is complete, wait for a SMS from your new operator confirming the switch. Your phone may be dead for about 2 hours when the porting takes place. - Charge of switching to another operator is Rs. 19/- along with the application form & your documents. - You can change operator multiple times using MNP, though there is a limitation i.e. once switched you cannot change the operator for the next 90 days. - During disconnection from old and connecting to new operator you number will be dead between 10PM to 5AM. - You cannot carry forward your prepaid balance to the new operator after MNP. So utilize your prepaid balance first. 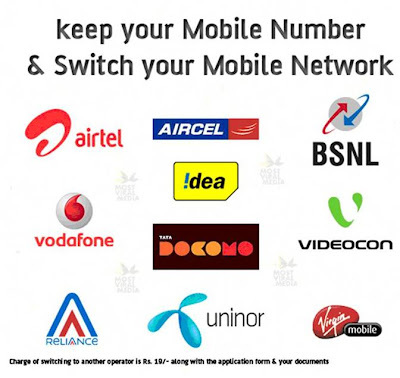 - Postpaid user can apply for MNP provided all dues of old operator are cleared. - Inter-circle portability has not been implemented yet. So you cannot switch from Maharashtra circle to Andhra Pradesh circle. - You can switch from prepaid to postpaid and vice-versa with MNP or without MNP. - You will need to change your SIM. Apart from number retention everything is same as getting a new connection. 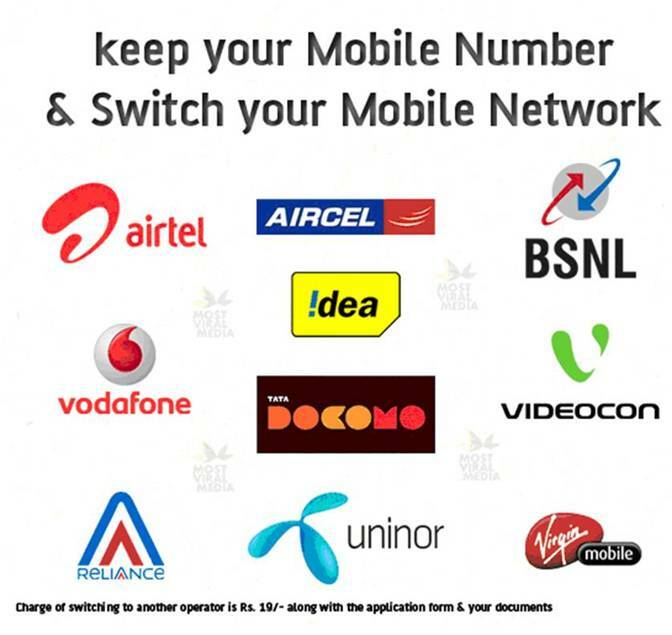 - You can switch from CDMA to GSM through MNP.